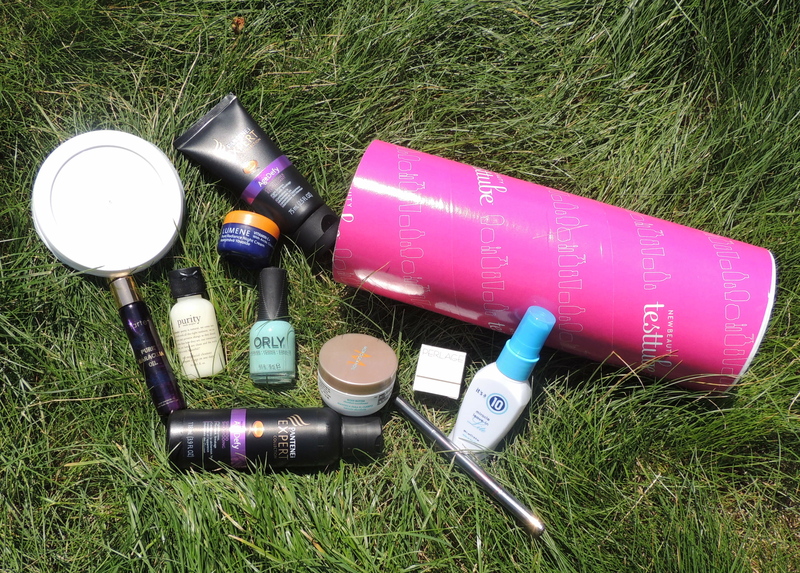 NEW BEAUTY testtube arrived! 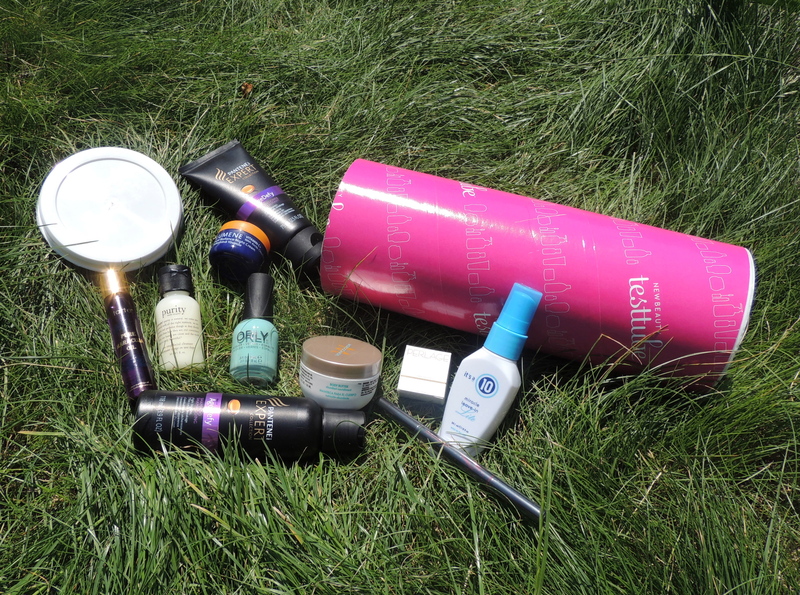 Summer/Fall 2013 - Give Me Gorgeous! 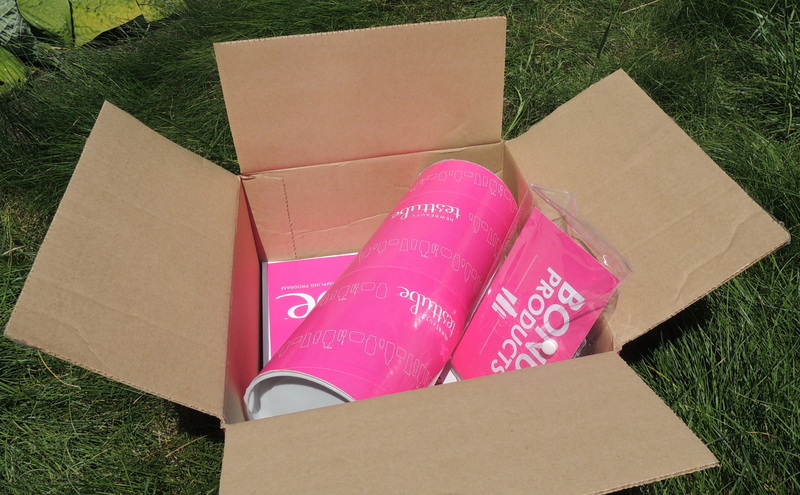 How exciting to get the latest bright pink box of New Beauty testtube product samples and bonus items (although I hate to see mention of Fall). 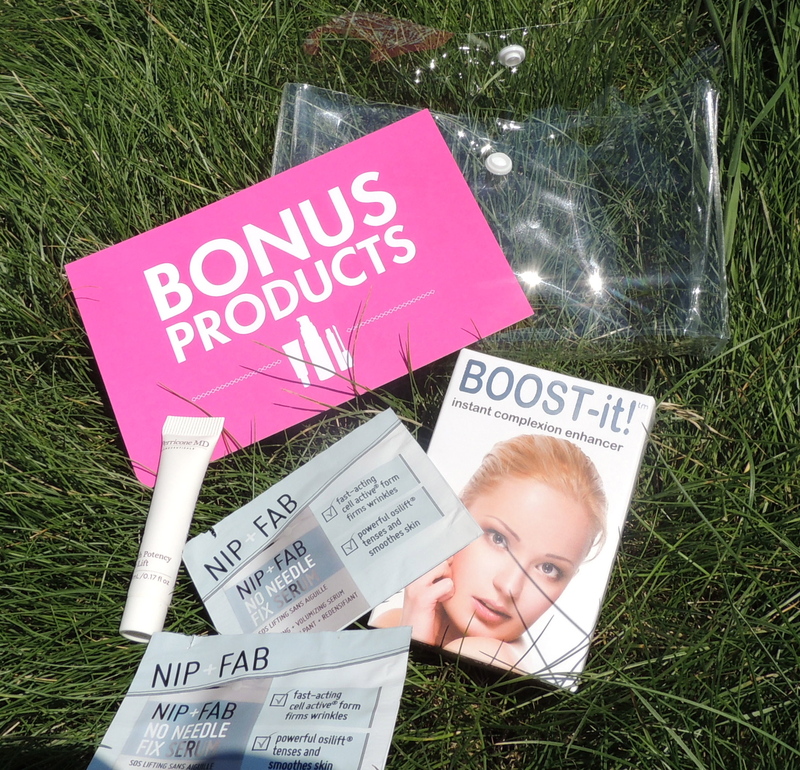 This is one of those cosmetics and beauty products sampling programs. My sister had purchased a different sample program for me, that I tried last year. I recently found this program in a search and am loving their selections of products, each shipment usually includes at least one full size item (the last one had regular size Marvelous Moxie Lipgloss). 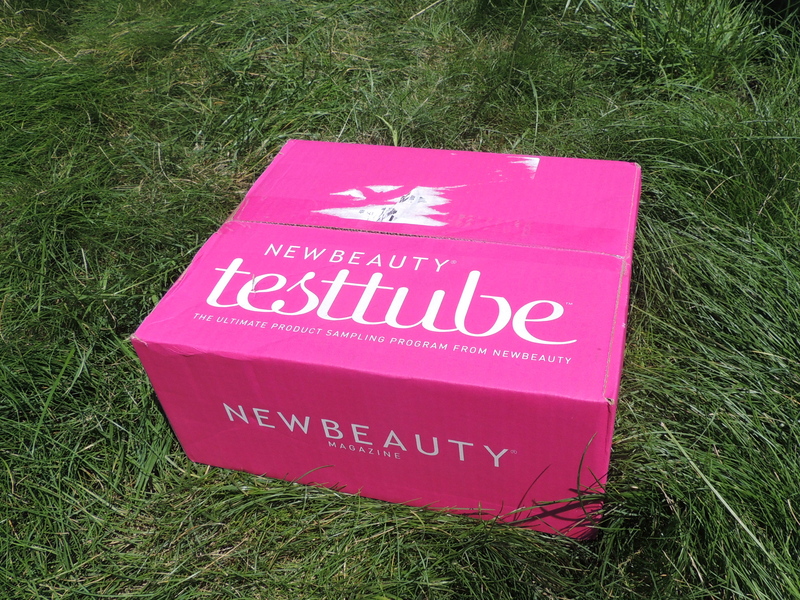 New Beauty tetstube ships six times a year and includes a quarterly issue of the NewBeauty magazine (that usually sells for $9.95 per issue in the US) which is chock-full of cosmetics and skin care information. Currently it retails for $29.95 per year or $79.95 for three years. This box contains: Moroccanoil – Body Butter, YBF Beauty – Automatic Eyebrow Pencil in Universal Taupe, Perlage – Illuminating Primer, Orly – Nail Lacquer (full size), It’s A 10 – Miracle Leave-in Lite, Tarte – Pure Maracuja Oil Rollerball, Pantene Expert Collection – AgeDefy Shampoo & Conditioner, Philosophy – Purity Made Simple Facial Cleanser, and Lumene – Vitamin C+ Pure Radiance Night Cream. So far, I’ve tried several of the samples. 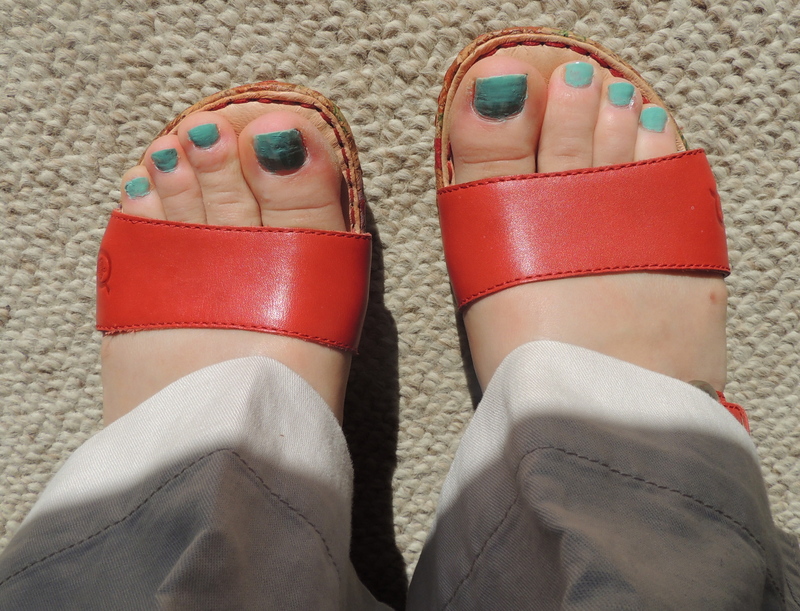 The eye pencil (that has a handy spoolie brush on one end), the body butter, the nail polish (picture of my toenails below), the vitamin C cream and the shampoo/conditioner. The eyebrow pencil is nice because it can vary in color depending on how hard you press when applying it – with my fair hair I don’t need a ton for good definition. The body butter is thick and smells faintly of shea butter, it seems to be very moisturizing – will come in handy for those summertime rough patches of skin and sunburns. I like the hair products because they are thickening, calm dry hair and add shine – all characteristics I need. The vitamin C cream moisturizes well and I’m adding it to my bedtime routine to better judge its benefits over a week or two time period. I’ll add updates as I try the remaining samples and let you know how it goes. This sample box gives a good variety of products and large enough samples that one can determine if they work well for you. I’ve heard about this before, and each time I hear about it, it always sounds so intriguing! Thank you! Yea, a great way to try new products. Thanks for visiting my blog. Thanks for the reblog! Cheers.